Below is a proposed feature for software based video chatting, created within the span of a shower on the morning of May 10th, 2018. Rowan Exits Cisco (for Five9) from Dave Michels on Vimeo. I'm not picking on these guys specifically, it's just the latest of years and years worth of videos of this type. For a video chat that's intended to be recorded and put on YouTube, etc., voice switching is inappropriate. The constant cuts between participants is annoying and distracting. At the very least we should activate the side by side view for these videos. But could things be better? Using open source software, we can read faces and scale them to a relative size. 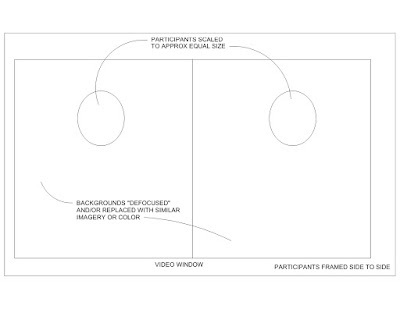 Then, the participants can be cropped and placed side by side. The background (based on the facial recognition) can be either slightly blurred, colored similarly or have an image placed behind it (these are already happening with both camera and software chat solutions). A rough light balance/contrast can be applied as well. The goal here is make the people appear in the same room as closely as possible without looking gimmicky. This process can be duplicated for 3-4 participants. Eventually, you'll run out of horizontal video real estate with too many participants and be forced into the Hollywood Squares experience. This entire process can be integrated into a vendor's video chat product. Call it "Interview Mode" with one button push to activate everything. It can also be used for training videos where the educators are in different locations with purposes of recording the chat for later use. Lastly, the above solution can use in 3 or more party video chats. Person A can see B and C, B can see A and C and C can see A and B with the feeling that the other two are in the same location. This will bring an end to those videos chats that have inappropriate voice switching that are still hampered by the switch latency. If this does not currently exist within anyone's particular product and someone wants to develop it, feel free to use any or all of what I've posted. I just want better products that we all can use. 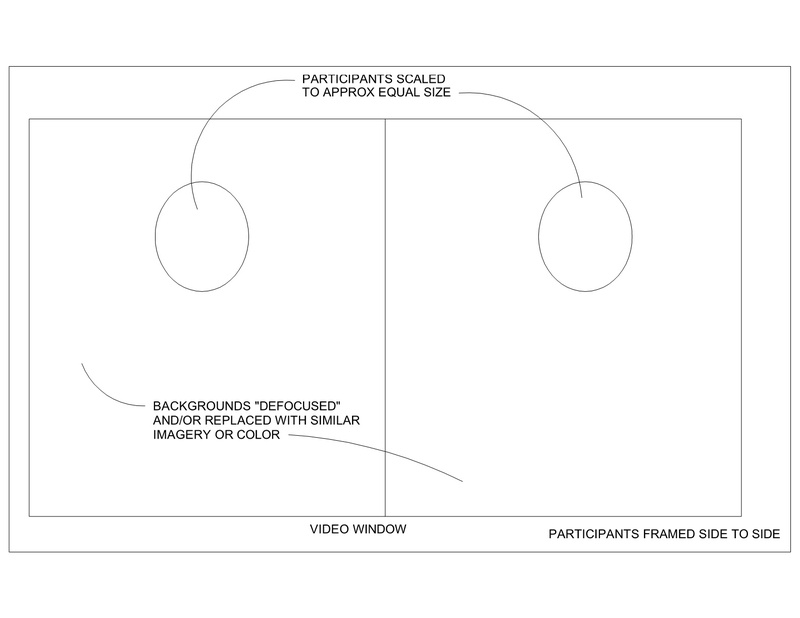 Dedicated to doing my best to bring quasi immersive solutions to low end video chatting.